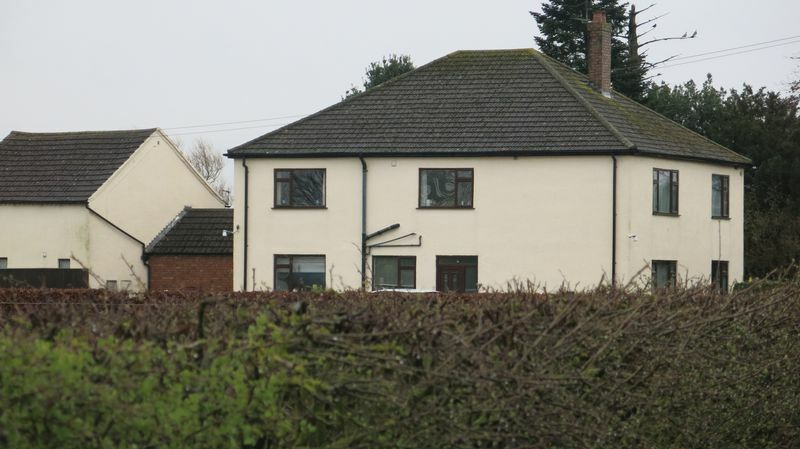 This DETACHED FAMILY HOUSE offers generously sized accommodation within easy reach of Coningsby and Boston with views over open countryside. Double glazed front door to spacious ENTRANCE HALL with French door to the garden; LOUNGE with open fireplace; DINING ROOM or BEDROOM 5; KITCHEN/BREAKFAST ROOM with fitted base units to work tops, including large drawer unit and drawer units to either side of the oil fired range cooker (AGA type) wall cupboards, twin bowl sink unit and waste disposal unit, plumbing for a washing machine and dishwasher, large walk-in pantry with appropriate shelving: From the Kitchen archway to GARDEN ROOM with two sets of French doors to the garden; REAR LOBBY/PLAYROOM/STUDY with patio doors to the garden; CLOAKROOM with w.c., and washbowl. From the Entrance Hall stairs to landing with access to storage cupboard and walk-in airing cupboard; MASTER BEDROOM with views over the garden including walk-in wardrobe/dressing room and EN-SUITE BATHROOM with white suite including mains mixer shower over the bath; BEDROOM 2 double with fitted wardrobes and drawer units; BEDROOM 3 double; BEDROOM 4 double; FAMILY BATHROOM with white suite including separate shower cubicle with mains mixer shower. POSSIBLE ANNEX SPACE AND GARAGING AVAILABLE IN THE FUTURE BY WAY OF SEPARATE NEGOTIATION.